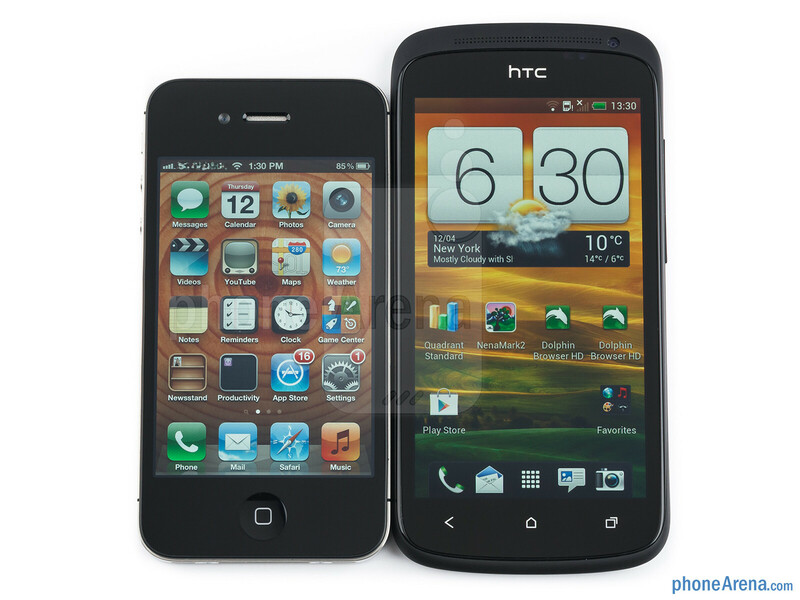 Here we go, folks, the battle of the “S”-es – the new HTC One S in the blue or black corner, and the iPhone 4S in the black or white corner. This may leave us with two black corners, though, and it's exactly the dark metal ceramic version of the One S we have now, so the fight will be based entirely on merits, rather than color preference. We kid, since one thing is missing from HTC's phone to go head-to-head with the iPhone 4S in terms of specs, and it is pixel density, while it exceeds in other geeky stuff like processor clock and operating memory. The iPhone's iOS and Android have different resource needs, though, so we'll judge mainly on design, interface performance and camera quality, leaving the application stores aside. 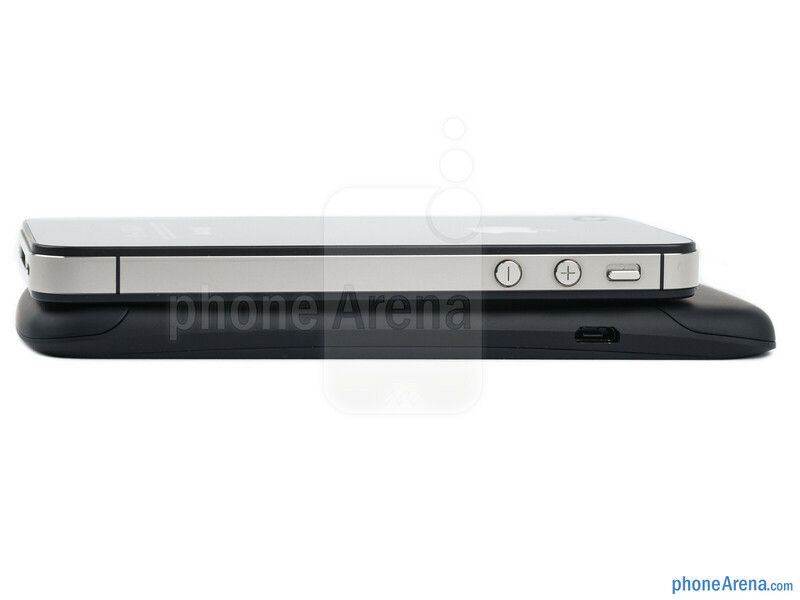 Apple's iPhone 4S has a unique steel-and-glass casing, which is yet unmatched by other manufacturers, even though this chassis is the same as the previous iPhone edition from 2010. It leaves a very premium feeling in the hand, with the downsides being that it makes the phone comparatively heavy, with sharp edges, and more prone to shatters and scratches than run-of-the-mill materials. 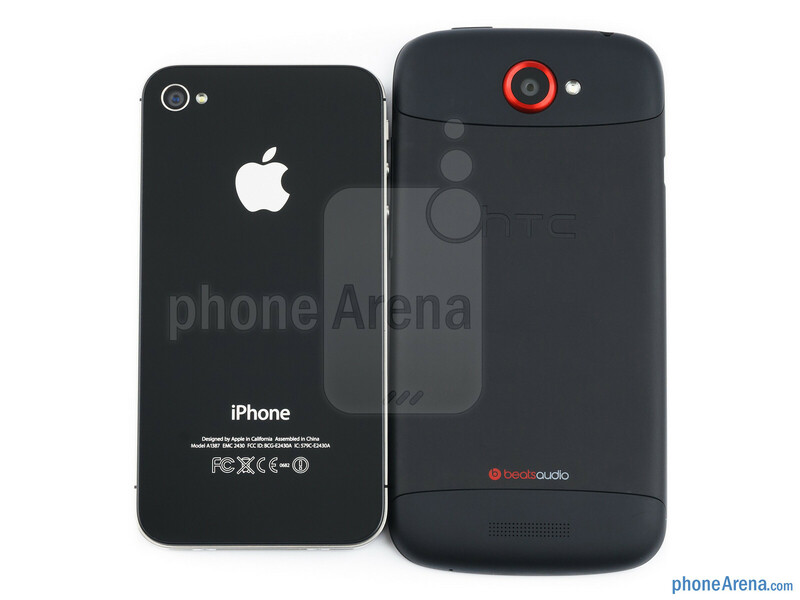 The HTC One S, on the other hand, sports two very distinct chassis materials – a blue-grey version with the more ordinary anodized aluminum, and the black version we have. Blacky is coated in a metal ceramic fusion obtained by zapping the aluminum frame with 10,000 volts, which results in oxidized metal that is three times stronger than stainless steel. This is making the phone very rigid and durable, but have no doubts that if you key it with a vengeance, marks will be left, this is no adamantium. In terms of comfort, both phones lie well in the hand, with the iPhone leaving a more “edgy” feeling than the rounded corners and tapered back on the One S. HTC's handset is one of the most compact 4.3” phones we've handled, and is thinner than the iPhone 4S, but for smaller palms one-handed operation with the iPhone will come much easier since its screen size is 3.5”, and the whole phone is shorter and a tad narrower than the One S, so your thumb can reach everywhere. The displays on both phones are pretty different in both size and tech. 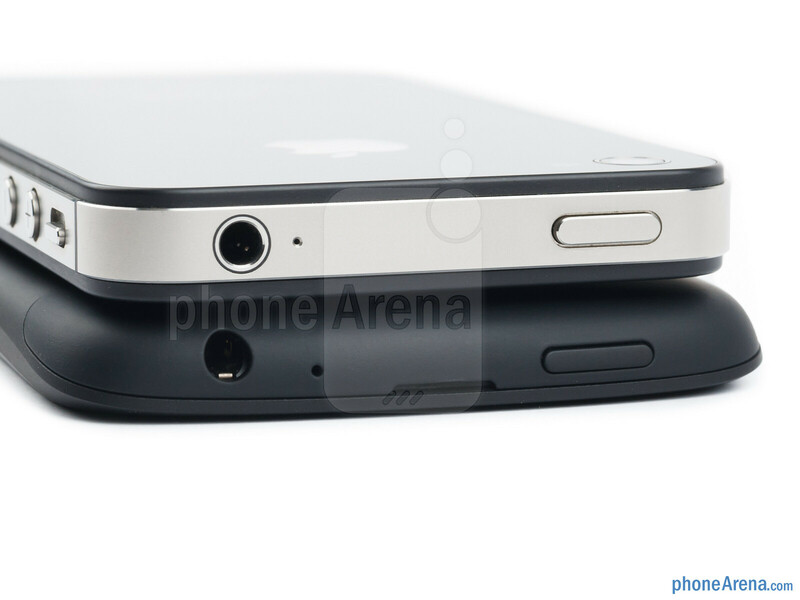 We have the 3.5” Retina Display on the iPhone 4S, with its IPS-LCD technology and 640x960 resolution, meaning 326ppi pixel density, good colors, wide viewing angles, and high brightness. The 4.3” AMOLED display on the HTC One S sports 540x960 pixels of resolution, which not only results in lower pixel density than the 4S, but since it is done with the PenTile matrix arrangement, the honeycomb structure of the dots makes some elements appear pixelated. Nothing you'd notice unless deliberately looking for it, though. 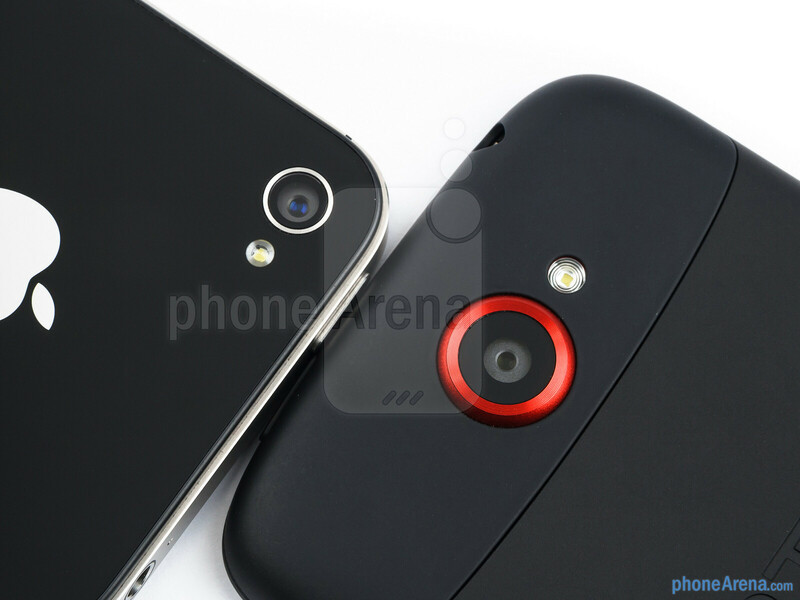 What they will notice are the oversatured colors on the display, which go way above the standard gamut, and the cold images, making white appear blueish compared to the iPhone 4S. AMOLED has other advantages, like wider viewing angles and deep blacks, hence extremely high contrast ratio. This comes in handy when watching movies, and the AMOLED screens draw much less energy then, compared to displaying white backgrounds during browsing, while for LCD ones this doesn't matter. haha good thing, i thought this is gonna be another garbage article/review done by the worst reviewer w/ the worst voice of all time, ray s.
small nitpicks daniel Amoled is true black, the pixels turn off, meaning it has infinite contrast.. not just a high contrast. Technically it cant get any better. While on the same network the OneS should technically always get at least slightly better if not greatly better speeds than the i4s due to the fact that the 42mb/s radio is for all intensive purposes 2-21mb/s radios put together. Thats why if you go to tmobile for example, the 4g blaze will pretty much always out perform any 21mb/s phone on the network. Also, if you drop amoled brightness below 75% while viewing white pages it drops its power consumption greatly. that last 25% or so is where the real drain is... especially when displaying white. While its not a great trick for outside usage, it sure helps inside since amoleds are naturally pretty bright anyways. Other than that, a pretty fair review. good job. thanks. :) I wouldnt mind doing freelance. Its not like I dont write on this site enough, right? lol Ray is not as bad as people like to think he is. We are all entitled to our opinions. I've found his last few pieces to be very reasonable and even handed. Yes, he has a preference for iphones that does show up in some of his reviews, but so what. We are all human and we all have preferences. Did you give daniel the same gripes for saying nice things about android over iOS in this article? Its no different than Ray's little snippets. There is no such thing as 100% objective as we all see the world through our own glasses. As long as its not glaringly obvious, why worry about it? There were some comparison articles on this site for the last few years that were so beyond obviously favored to one phone out of the gate it wasnt funny. Compared to some of those old articles, what Ray is writing is as unbiased as it gets. I'm not going to mention who wrote those articles. lol. To display ideal true black, the individual pixels need to turn into black hole. That is true. The contrast measuring devices are picking up the amount of light that's being emited, though, and since amoled switches it self off on the black signal, it is registered as zero light. 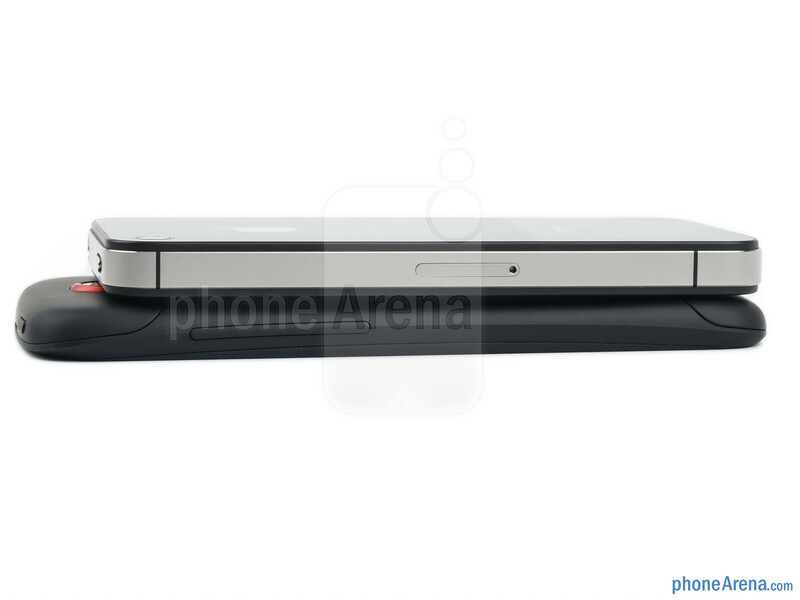 I wanna see One S vs Xperia S.. thats a better comparison than the iP4S.. When will reviewers realize that 4.3 inch screen is simply a huge advantage over 3.5 inches!! It's really time to drop that apple induced neutral reality twisting stance regarding iPhone screen. If you don't think so, just imagine some new android flagship with 3.5 inch screen. It would turn into a huge con in the eyes of any reviewer. 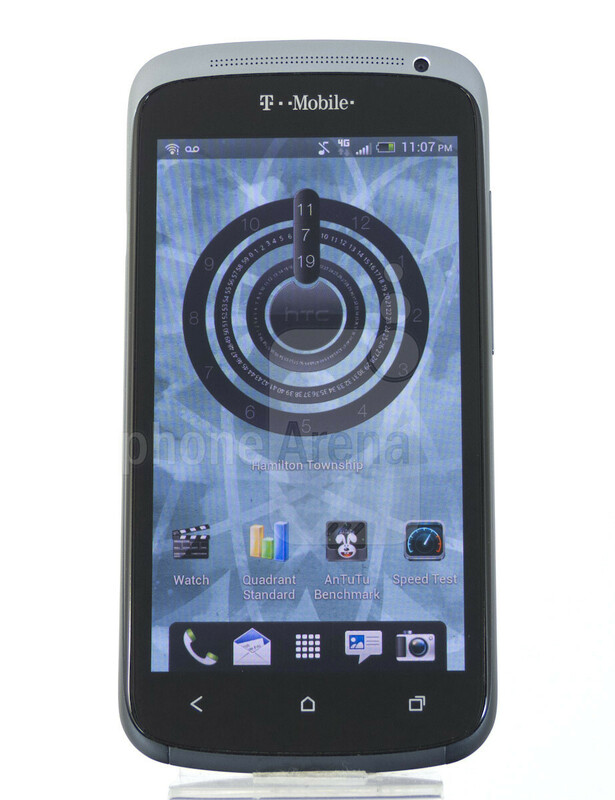 I have an xperia arc s and NEVER had any girl complaining about its 4.2 inch screen being too big. Just as soon as others realise that a 4.3" screen is not necessarilly a huge advantage over a 3.5" screen, I suspect. I thought the battery life was supposed to be better on the One S?? But overall, this is a great comparison review! Remixfa addressed that - I do what he described on my Cappy and RAZR and get great battery life. Also, get Green Power app and you will see even more battery juice left over at the end of day. It's an unfair comparison of two phones regarding the battery life. HTC One S has larger screen and the battery-killer 4G chip. its no longer a battery killer to have Lte on the s4 chip. of course its fair its retail vs retail. Actually, all manufacturers need to address battery life. Soon, everything will be LTE. Barely getting through a day on a charge is simply not acceptable. 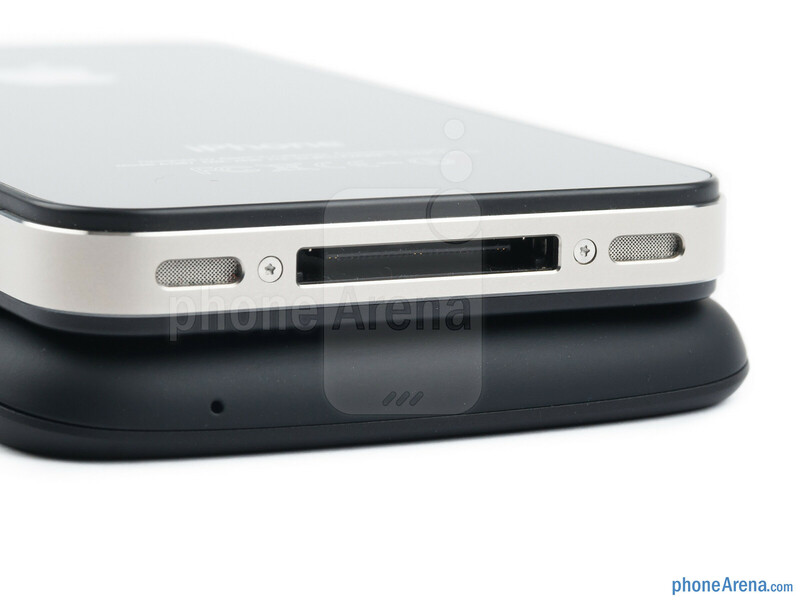 At minimum, phones should deliver 1 1/2 to 2 days on a charge. We shouldn't need to carry chargers all the time. Blackberrys used to be able to go days without a charge (I know it's not a valid comparison given their capabilities vs. these phones, but I'm just highlighting the difference). Kudos to manufacturers who are addressing battery life by at least putting in larger batteries. Minimum of 2 days? What situation do you have to be in for a charger to be unavailable to you for 2 days? Maybe a 2 day road trip where you never stop at a hotel to plug in a charger, but even then, you should take responsibility to take a car charger with you and not expect the manufacturer to automatically assume that you will be in a situation like that. I mean, yes, the RAZR Maxx is an exception to this, but you cant expect every manufacturer to follow suit to Motorola, at least not right away. I think your expectations are a bit too high. I think 16 hours is just about enough for everyone. Maybe 20 at the maximum. 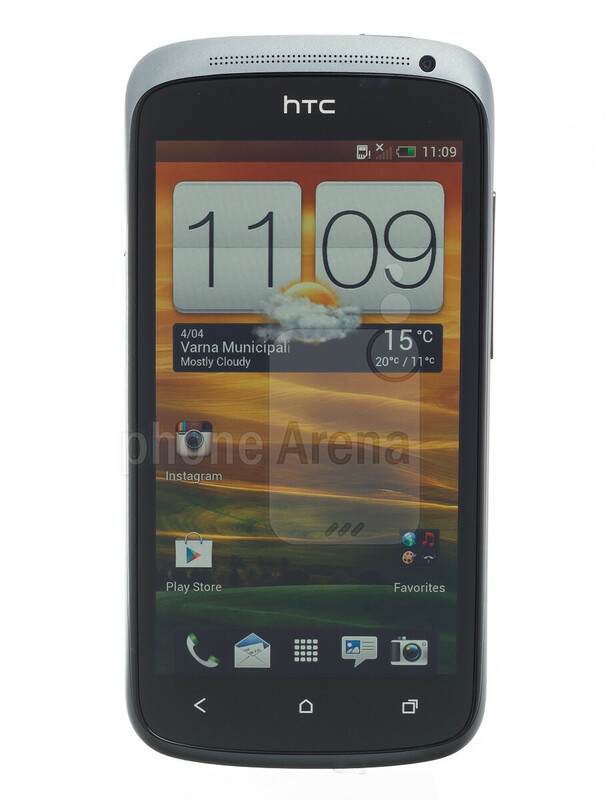 Did I read correctly - no microSD slots on the HTC phone?? Obviously 4S is better than One S. ..............(Four S)..................(1S)..... Get it? Great review, teach the person who reviewed the One X to review other phones in a non-biased way. Thanks and once again, great review! Keep it up! Htc PIMP SLAPS useless iphone as usual nothing new here that's for sure.. 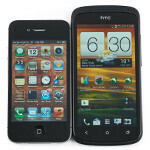 I can get an iPhone4s or an htc one s...which one do you think I should get? the thing I really like about iPhones is the variety of cases and covers you can buy. on the other hand I don't really like apple phones. I would really appreciate your help!